I haven't posted a crochet pattern since February! I've always wanted to post at least one pattern a month but that never happens. Anyways, today I have a refreshing treat and I am going to show you guys how to make it yourself! Since this is Disney week on my blog it's, of course, Disney related. 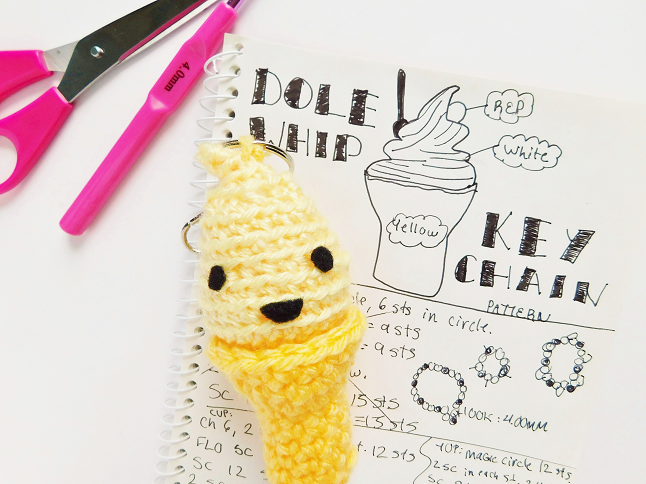 Today I am crocheting a Dole Whip for you! 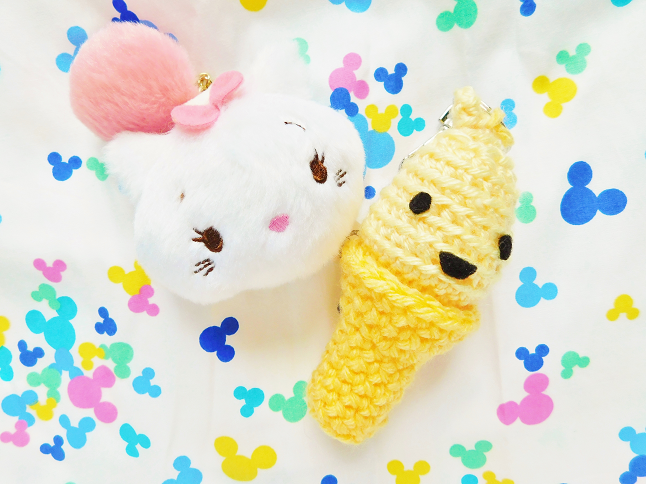 A Dole Whip is a frozen soft serve frozen treat. They sell these across the Disney Parks (Aloha Isle in Adventureland at the Magic Kingdom). They also have a float version served with pineapple juice which is what inspired this crochet project. - Dec last two sts. 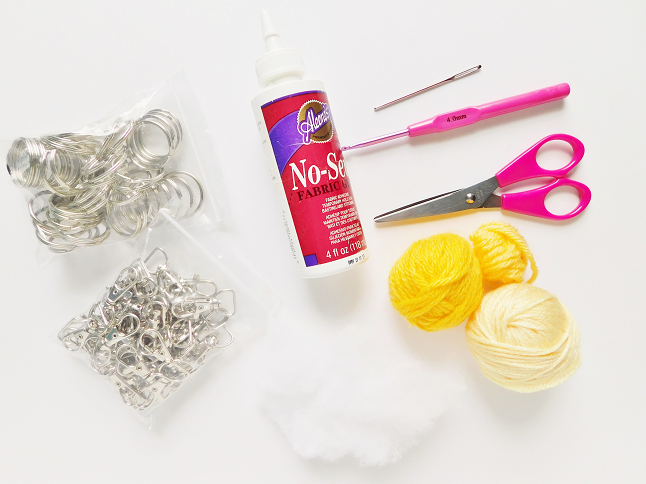 You can either choose to sew the soft serve on top of the cup or hot glue it like I did. I personally think hot gluing it looks better because it looks as if the soft serve has been placed over the cup like an actual Dole Whip. 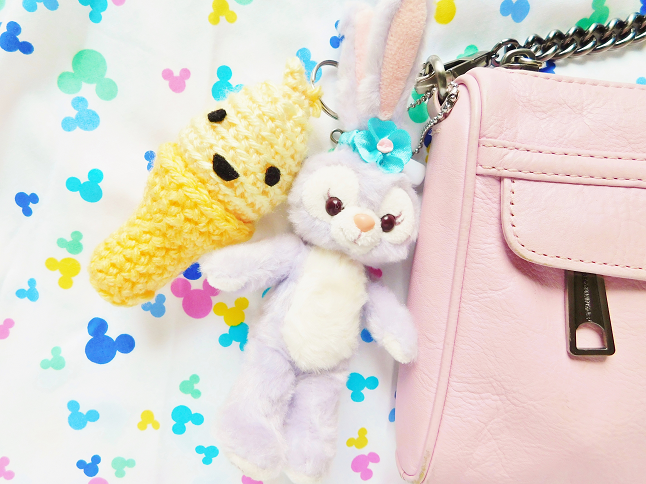 Next, attach the keychain findings to the top of the Dole Whip. 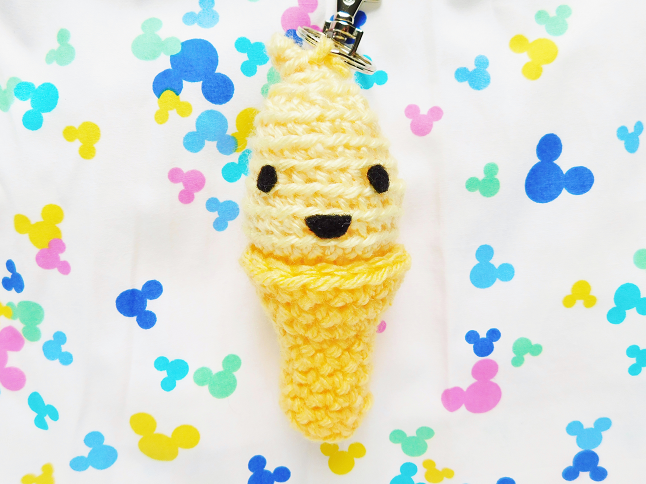 If you think the Dole Whip looks too plain looking you can choose to crochet a cherry (you can also use a red pom pom) or a face like I did.